Can you believe we’re already two weeks into February? Before you know it, it’ll be summertime and your friends will be nagging you to do fun stuff outside like head to the lake or the outdoor pool or even just hang out in the park. You want to look good for those moments right? 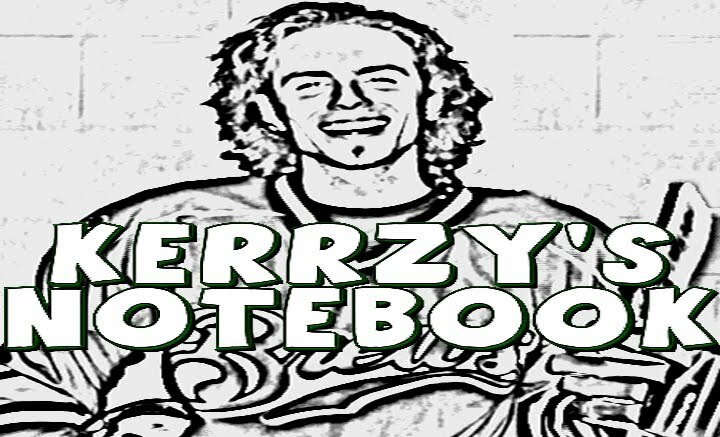 Don’t worry, Kerrzy’s Notebook and Forca Freemotion Body have got you covered with another edition of the Kerrzy & Migs FridayWorkOut! This week’s workout is a tough one – it’s a 40/20 Bodyweight circuit, which means you’ll be working for 40 seconds and resting for 20 at each stage. You’ll be doing three rounds of twelve different exercises and you’ll likely have to really challenge yourself to get to the end…but it’s worth it! Like most of our workouts, you won’t need much in the way of equipment for this one, but it helps if you have access to a TRX. It’s not a big deal if your gym doesn’t have one though; just find a machine that mimics a row when you get to that station. Once you get to the end, go back and do it two more times!